What: A visual forum for residents to discuss transport planning issues. Result: Through the Stickyworld technology and support of the Stickyworld's content team, the Council were able to capture a deeper insight from local residents and transport customers than they normally would have with conventional means. 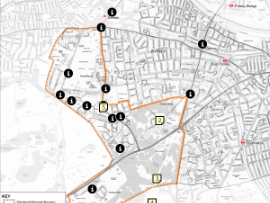 Wandsworth Council launched a visual forum on the Stickyworld platform in 2013 for residents in Roehampton to discuss various transport planning issues in the area. The key objective was to provide an online website that could provide more visual context to the discussion and debate, and enable the residents in the area to express their opinion and highlight any issues that the Council's transport team may have overlooked. The council’s communications team collaborated with the Transport Planning team and created 12 key questions they sought answers to, in order to start the conversation. Stickyworld's support team was able to provide content services including the necessary panorama images. 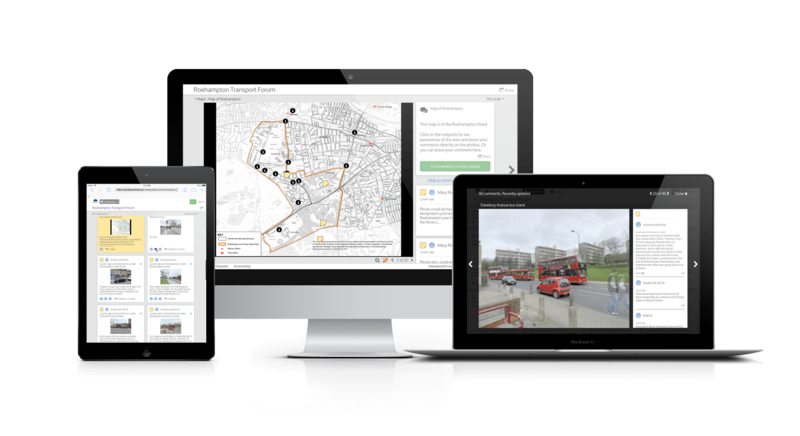 A series of picture based maps were used to show OS data on bus routes and cycle paths, coupled with panoramic shots of key locations, to create the basis for the conversation prior to launch. The project was launched in conjunction with a regular online survey, and the council’s team were able to capture a different kind of insight from the community views than they were able to get from conventional means. To learn more about this or similar case study projects, book a free webinar demonstration.